Please fly our Yeti from Osaka to Moscow! But of course Madam! Does he travel first class or baggage hold ? Why are we not surprised? After all, we ship dead peoples’ corneas from Geneva Hospital (HUG) and brave peoples’ microscopes to and from Troll Station in Antartica. Does this Yeti have a first name? Is he allergic to hamburgers? And pardon me, does he snore? The Yeti – or Abominable Snowman – is a mythological creature of the peoples of the Himalayan region of Nepal, Bhutan and Tibet. Scientists classify him in the category of cryptids. These are animals or plants whose existence has been suggested but never truly discovered or documented, neither by the scientific community nor by direct evidence. In pre-19th century, the Yeti was worshipped as a “Glacier Being”, as a God of the Hunt. In the 20th century, Western interest in the Yeti peaked dramatically in the 1950s. While attempting to climb Mount Everest in 1951, English mountaineer Eric Shipton took photographs of a number of large prints in the snow, at about 6’000 m above sea level. These photos have been subject to intense scrutiny and debate. Some argue they are the best evidence of Yeti’s existence, while others contend the prints are those of a mundane creature that have been distorted by the melting snow. See Wikipedia if you wish to read the complete article. NV Logistics reveals it all. Late 2015, a beautifully turned out Yeti was seen in a plane flying from Osaka to Moscow. 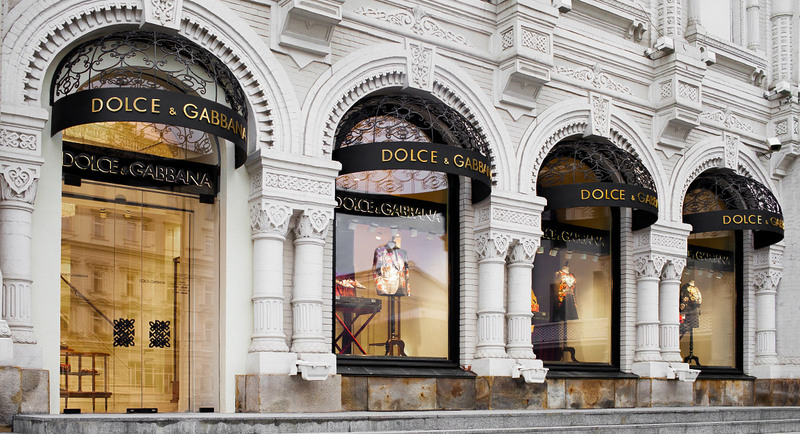 NV Logistics had the honour of flying him from one of his previous homes in Japan to the wonderful and recently opened Dolce & Gabbana Boutique in Moscow. The Yeti’s home in Japan. Picture source is Dolce&Gabbana Tokyo. Henceforth and until he decides to move on, he can be admired in Moscow’s Kitai-Gorod quarter and its small and picturesque Tretyakovsky Street, a stylish luxury shopping passage which was built in the late 19th/early 20th centuries. The Yeti’s new home in Moscow’s Tretyakovsky Street. Picture source is Dolce&Gabbana Moscow. Please call us if you have a desire to ship YOUR Yeti across the world. 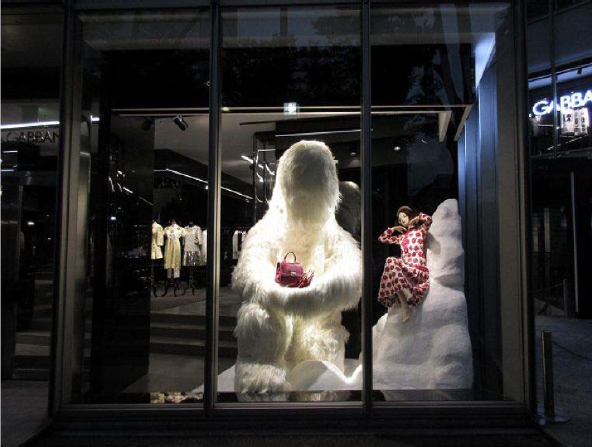 Yetis are henceforth our loyal customers, and we know all about their needs and wants!